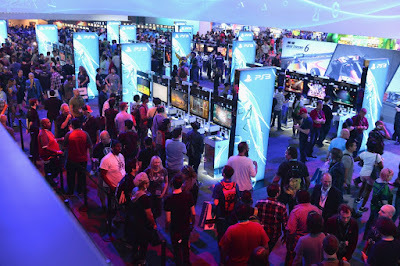 The 2013 E3 Gaming and Technology Conference in Los Angeles. In a previous post, we described a great number of educational benefits that lay hidden in video gaming. This time, we're going to introduce a few employment opportunities as well. Working as a Video Game Clerk. Working at video game store or rental place - either permanently or temporarily - has got to be a teen gamer's dream. In a single place, employees have access to the first games and game systems hot off the market and they're privy to peek inside magazines hot off the press before anyone else. If that wasn't enough, gaming clerks get a discount on what would otherwise be too expensive (games, game systems, and game accessories) to even think about buying. Sweet! Working as a Game Tester. Before a game hits the market, it has to go through extensive testing and if you think the programmers behind the game test their own material, think again. The gaming industry is extremely sensitive about what it puts out into the public. In an effort to remain competitive, it must make absolutely sure that the games it produces work as intended. This is where testers enter the picture. But it isn't easy to become a game tester. Becoming a game tester requires a little inside help but once you're in there, you'll not only have access to games that no one else knows about, you'll also have an opportunity to shape the game into an experience that you and your comrades prefer. Working as a Game Designer. Do you have good artistic skills? Can you whip out a character faster than you can say, "I drew that"? If so, you may be able to get a career designing video games. Today's video games exude some of the most beautiful graphics ever seen and if you have a good imagination, are able to use some of the most advanced graphics software programs available, and can follow instructions, you could see your own artwork in the next popular video game. Working as a Game Critic. The gaming industry is always looking for good content and if you have a flair for writing combined with a love for games, you could write for game magazines or you could write content for a highly popular gaming website. Working as a Game Programmer. Not a career for everyone, a good game programmer is always in demand. As player preferences change and new technology is developed, someone with the right programming skills has to be there to fill the gap between what players want, and what the gaming industry can supply. Becoming a game programmer requires extensive training in several different development languages - so if you don't have a clue as to what we just said, skip this profession and look into some of the others.